You may be aiming for the skies, but first, you have to get your operations off the ground. This is a daunting task that requires a whole lot of money, effort and time. To get on the fast tracks to success, you must break down this stage into a handful of manageable steps. Your dreams and ideas need a fertile ground, which is to say that satisfying customer comes before the market satisfying your aspirations. In the light of market realities, great business ideas are sometimes not worth the paper they are written on. After all, facts and figures rule the business show. Hence, the first thing you should do is conduct a research. Your chief goal is to identify a real demand for your products and services. In other words, identify a target audience willing to spend money on them. You must be able to solve a particular problem for people and ignite emotions. This brings us to the point that buying is not really a rational decision. For example, it is not enough to ensure the prime quality of the product. Consumer experience depends on aspects such as design and the name of the product. Thus, browse the Internet for cool packaging solutions and outstanding product name ideas. Of course, the specifics can vary widely from one type of business to another. Then again, there are some universal hard rules to follow regardless of the sector you want to operate in. First of all, every businessman must flesh out the concepts and have the finances sorted out. It is of the utmost importance to come up with a sound plan regarding sources of funding. So, do you want to seek professional investor, angels or venture capitalist? When figuring out a budget, it is best to assume that your revenue during the first year will be zero. The income is not guaranteed, but expenditures like utilities, salaries and inventory are. Hence, it might be a good idea to take baby steps before leaps and bounds. See if it makes financial sense to work from home in the initial phase and build an affordable website prior to brick-and-mortar headquarters. These are nice strategies to keep the costs in check and they work miracles for organizations still waiting to tap in a steady cash flow. Another crucial step involves building a strong team. Do not go anywhere without the collective of ambitious and skillful people. Bear in mind that their qualifications matter, but so does their ability to fit into the company’s culture. 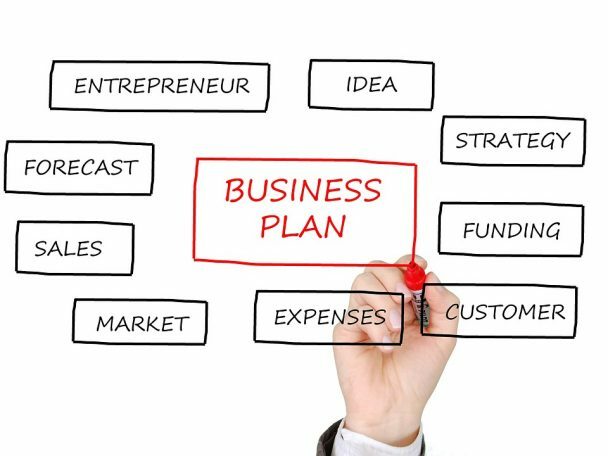 Ultimately, planning ahead of time is a principle that should be applied to everything from a business structure to the company’s mission. Organizations that come out of the blue must make sure to announce their advent. So, generate buzz around the brand and register a business name that is spot on. Use social media to your advantage to grow an audience, foster loyalty and amplify your messages. Post a video to YouTube, the booming hub that gets a ridiculous amount of traffic. Note that you can also set up a blog and get people talking about your products and services. Finally, be aware that you will have to gather feedback on a regular basis. The purpose is to use insights to refine your model and business processes. It is clear that big data and advanced analytics have changed the rule of the business game. Tweaking and fine-tuning never end, not for businesses that strive to stay ahead of the curve. Launching a business is no easy feat. It is a real wilderness out there and even the best of business plans can go awry. Therefore, validate your business ideas before implementing them into the market. Find the void in people’s wants and needs and fill it. Expect the unexpected and stay in tune with what the data is telling you. Be a storyteller and granter of wishes, not just another salesman.